Have you ever heard any one say “I hope things get better”? Of course you have and perhaps this is even something you say on a consistent basis. Many people are buckling under the pressure of everyday life of business, work and finances. I had a stranger ask me today if I ever bought Lotto tickets. I told him no, never. He glazed off in deep thought and said, “It’s the only way out of this financial misery everyone is in”. When you do not understand or practice the fundamentals of sound business principles then you don’t have much choice but to live your life on the basis of “I Hope Things Get Better”. The problem with this philosophy is that things rarely get better but has an automatic tendency of getting worse! Living this way is like speeding down the highway, closing your eyes and let go of the steering wheel and then “Hope Things Get Better”. You can see why they rarely do. The good new is however, you can move from “I Hope Things Get Better” to “I Know Things Are Going To Get Better”. The transition comes when we do certain things that we know will cause things to get better. I have a lot of people tell me their problems and after I let them ramble on for a while I ask them a simple question; “What are you doing about them”. That usually gets that same symptom of the bottom lip begin quivering, the top lip start moving but no words come out. Then out of some kind of desperation they let out a Monster growl like Ahhhhhhhh! Everyone goes through tough times; it is a process and cycle of life. The late and legendary Jim Rohn called them the Seasons of Life. The important thing to comprehend is the importance of developing the skill of doing proactive actions that change those challenging times. When you are practicing the fundamentals of business you move from “I Hope Things Get Better” to “I Know Things Will Get Better” because you are doing the things that will make them better. Here are a few things you want to do to keep you in the realm of “Knowing Things Will Get Better”. Daily Activity Prospecting daily is crucial element to help you navigate through the cycles of business. It is your deed of guarantee that things will get better when you hit a dry spot or selling slump. Daily Marketing After all is said and done, after all the fancy wrapper is stripped away, the impressive vernacular is put back, when the make up comes off selling comes down to a numbers game. The numbers game, its old, its simple, but its accurate and dependable. The degree of your long-term success in selling and business will be a reflection of how many people hear your offer. Massive Exposure The old saying of “It’s not what you know but who you know” has a twin sibling “Its not who you know it’s who knows about you”. The more people who know about you, your company and product line the more business you are going to do. This is based on the law of the built-in market. There are thousands of people worldwide that want to buy what you are selling. And the only reason you have not gotten rich so far is not enough people know about you. Once your name, branding, company or product hits massive exposure the momentum of increase in business and profits begin to grow exponentially. So when things get tough and challenging (and they will) you can look people in the eye and say “I Know Things Are Going To Get Better”. And if anyone ask how you know that you can simply tell them…”Because I Am Doing the Things to Make Them Better”. Knowing and practicing these three business insights will help you get a better night sleep, remove fear and stress from your heart and renew your strength to keep moving on! This Week’s Featured DVD: “Think Like A Millionaire”. Yours Free when you order any product at http://www.donboyerauthor.com/member-products.html Offer ends Friday June 21, 2013 (all products shipped Free). If you are going to survive let alone thrive in business you have to be “Tough As Nails”. Being in business for yourself many times means being in business by yourself and that can be a very daunting experience. Yes we may have supporters, vendors, and business associates and maybe even employees, but the bottom line is when everyone else goes home, we are left with all the responsibility of business on our shoulders. There are many times in business that you have to make hard, difficult, sometimes gut wrenching decisions and that requires you to be tough as nails. Sometimes when you are stuck in business and the wolf is coming to get you, you have to chew your own foot off to break free and escape. As one man said, “You can’t crawl out of the mud you have to Explode Out of the Mud!” Listen, Superman or Superwomen have nothing on the Business Entrepreneur. If you are a true Business Entrepreneur even the devil himself gets rectal leakage when he sees you coming! Ultimately, success or failure is the sole result of what we do or don’t do; the action we take or fail to take leads us down the path of success or the path of failure. The choice alone is ours. As a speaker, Mentor and success coach for the past 30 years, the hardest thing I have had to over come was my desire of wanting success for others more than they wanted it for themselves. Taking that stance creates more pain and disappointment than you want to bear and the fact is, you cannot force anyone to take the necessary actions to give them what they claim they want…Success. The American Dream of Financial Independence is Alive and Doing Well, and you can have that Dream if…You Simply Take the Time to Learn How to Get It. That statement will do more than cause you to double and triple your income, that bit of advice will take you into the Millionaire Zone. If you are not at the financial place that you want to be at, it’s because you simply have not yet learned how to do it. When I look back on all the good fortune as well as all the failure I have experienced in business I could pinpoint the “Why” it happened in both circumstances. Let me share it with you to save you some heartache. When I succeed it was because I filled by gun chamber with daily, massive, marketing and prospecting bullets and when I failed, I did not. It is as simple as that. If I had to go into the jungle of business and I only had one tool or weapon I could take, it would be a proven marketing system. In the world of business you have King Kong, Big Foot and Godzilla all wanting to slap your buns with yellow mustard and eat you like a hot toasty sandwich. The only way you can defend yourself (and your buns) is having a rock solid, proven marketing system that attracts customers into a buying environment. As long as you have that you can thrive in the marketplace. As far as all the other pitfalls of business…well you can handle that because you are “Tough As Nails”. Right now, there are hundreds of thousands of people buying what you are selling; my closing question to you is…What are you doing to make yourself visible to all those customers who have money in their hand? A proven marketing plan makes you stand out like a Neon Sign to those who want to put money in your bank account. If you are not using our “Painless Prospecting” and “Painless Selling” system you are working way to hard for way to little. Are you part of our Exclusive Inner Circle Membership program yet? This is the real deal. This is no Smokey Joe Blow Smoke Up Your Kazoo type of fake program. This is a highly prolific Mentorship program that is Free of charge to those who are serious about doubling and tripling their business and income. Get on board today while enrollment is still open. 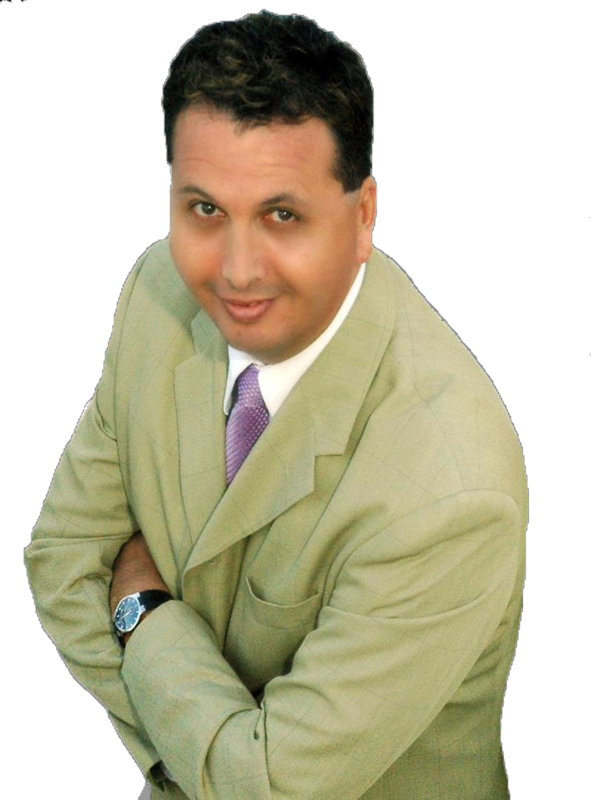 I will see you tomorrow when I share more insights to help you make you more successful! And hey, thank you for continuing to share us with others. If you could guarantee to double and perhaps triple your income this year by simply giving away your e-book would you do it? As crazy as it sounds, a whooping 60 percent would not do it. 30 percent would say they would do it, but never follow through and actually do it. 7 percent would do it and when they did not see results the next day or week quit and stop doing it. Only 3 percent use this system but they are the ones who became wealthy in their industry from it. As amazing and wild as this fact is, there is a very concrete reason for this. Let me ask you; is giving away an e-book easy to do? Yes of course, it is painless and cost zero to do. That is not the problem, the problem is…. It is easy not to do! The legendary and late Jim Rohn always said doing the things that bring Success is easy to do, but they are also easy not to do, and for that very reason most people never reach their dreams. So although giving away an e-book to double and triple your income this year is easy, simple, painless and costless to do, studies show that it is the top 3 percent of high income earners and internationally known leaders that follow this system of giving away books to grow their business and income. 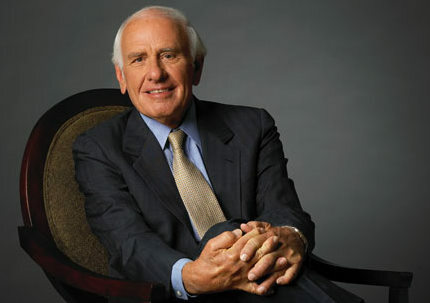 Everyone from Bob Proctor, Brian Tracy, and Vic Johnson to Dan Kennedy give away e-books to build their empires. However, on top of the main fact that giving away e-books to double and triple your income is easy to do and easy not to do, I found 5 other reasons why speakers (and business owners) choose not to follow this system of giving away books. Reason Number One: They simply cannot get a mental or visual picture of themselves giving away e-books as a marketing method to increase business growth. They never have done it in the past, they do not know anyone personally who is doing it and therefore have no mental or visual reference in their mind of giving away books. Reason Number Two: They have never heard of this system of giving away books to grow your business and income and therefore do not have a clue how to go about putting it into practice or even know who to turn to in order to get help in leaning how to do it. Reason Three: Wrong paradigms about books; most people believe books are designed to be sold, and have a hard time accepting that books can be used to create wealth. If you sell a book it returns coins to your purse, if you start giving away books, it returns a fortune to your bank account! Giving away a book does not diminish its value or content, in fact, the higher quality in content and format, the higher return in more customer attraction and retention. Reason Four: Giving away books feels uncomfortable and out of my comfort zone. Here is the great Wake Up Call, we are doing business in a devastated economy and the only place that sales and customers gather is outside your comfort zone. Working outside of your comfort zone is the only way, and I mean the only way to survive in this upside down economy. Reason Five: It is beneath me to give away books. Listen, our Ego is not our Amigo! Our ego will drive us to the poor house if we are not careful. I would rather be humble and rich, well fed and well dressed, than be broke with a massive Ego. As professional speakers and leaders, we have no trouble growing a healthy Ego, in fact, most of the time our trouble comes from uncontrolled massive Ego growth. Now, let’s bring this home with 5.5 questions. You want to double or triple your income this year Right? Yes! Giving away an e-book is easy and painless Right? Yes, of course. It cost you absolutely no money to give it away, Right? Yes. You do want more sales, customers and clients, Right? Yes. You know this is something you can easily do, Right? Yes. I am not looking to convince, persuade or sell the 97 percent of professionals who say no to our offer, that is called “insanity selling” (which most professionals practice) instead, I am looking for the 3 percent of winners who already exist and are out there ready to double and triple their income with this easy system of giving away an e-book. If you are one of the 3 percent ready to expand and explode your business and income, contact me today at 562-237-8039 or send an email to don@donboyer.org and I will show how in less than 10 days you will be published and on your way to using the most powerful customer attraction system on the planet! How Effective is your Business Card? As a speaker like any other profession, you need more customers, speaking gigs, and more bottom line profits. So let me ask you, how many clients, referrals and money can you directly trace back to being results of your business card? 1.Business cards have been used for 100 years and have exhausted its uniqueness. 2.Everybody uses them, and no matter how fancy or how much money you spend on them, it does not make you stand out from the rest of the business cards your competitors are passing out. 3.The fact is, far too many business cards end up in the trash can. However, there is one type of business card that Never ends up in a trash can, which is really not a business card but a book that functions as a business card on steroids! Most professionals and even many authors do not understand the many functional uses of a book to generate new business, new customers and fresh revenue. 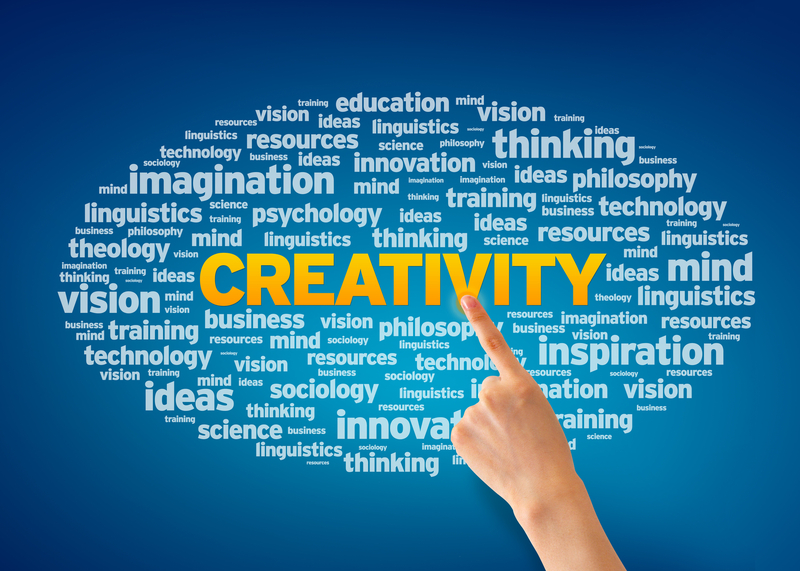 Most believe that the only function of a book is to create revenue from selling it. But the truth of the matter is; a book sold brings a few coins to your wallet but a book given away returns Financial Independence. My personal friend and mentor Bob Proctor taught me this secret of using a book as a lead generator. He uses it to generate millions of dollars of revenue and every known International speaker/author uses this same system. 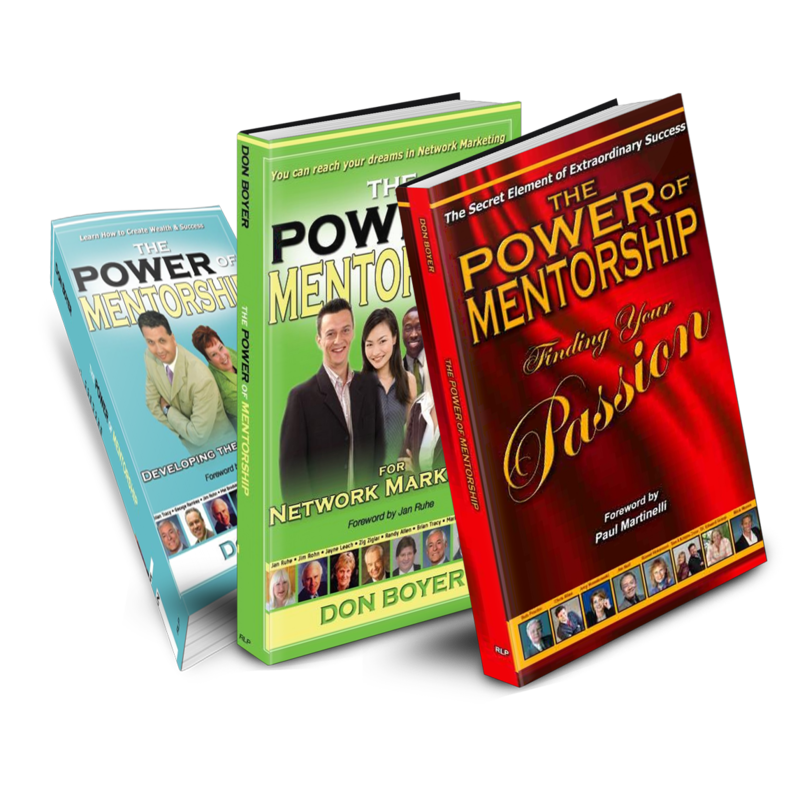 I proved this system works by creating the Power of Mentorship book series that now have 220,000 printed copies in the marketplace and a million e-book versions in the marketplace worldwide. 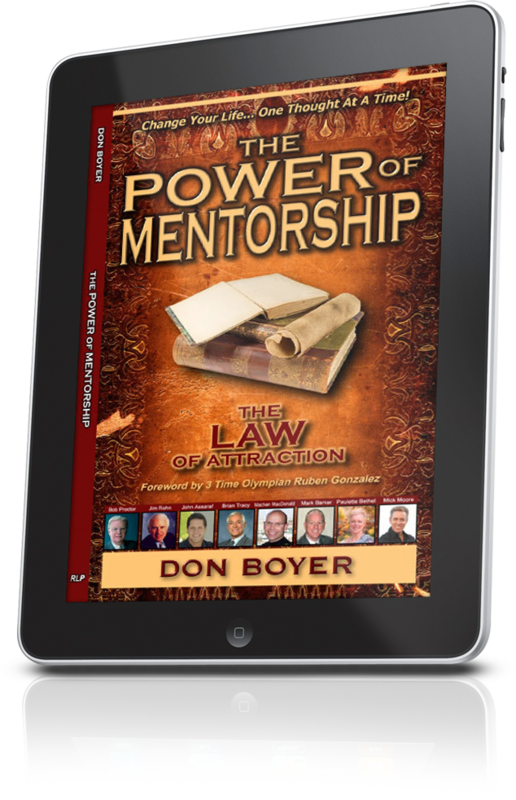 I would like to personally invite you to become a co-author in our upcoming Power of Mentorship book which features Bob Proctor, Brian Tracy, Zig Ziglar and many other recognized leaders. These books convey the top teachings of all these leaders, and would feature your chapter in the book and we will teach you how to both sell the book and more importantly use it as a lead generator. And the fact is, using the digital format of the book, giving it away as a gift, bonus and lead generator makes your marketing efforts extremely effective with zero cost. Top that off with the fact that you can put your book into the hands of potential clients instantaneously and globally makes this the most powerful marketing tool on the planet. 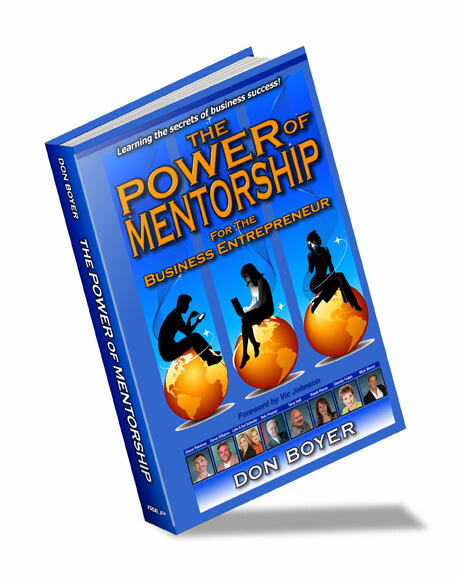 Here are 5 major reasons to become a co-author in our upcoming Power of Mentorship book. Until then, I wish you the best of Success!